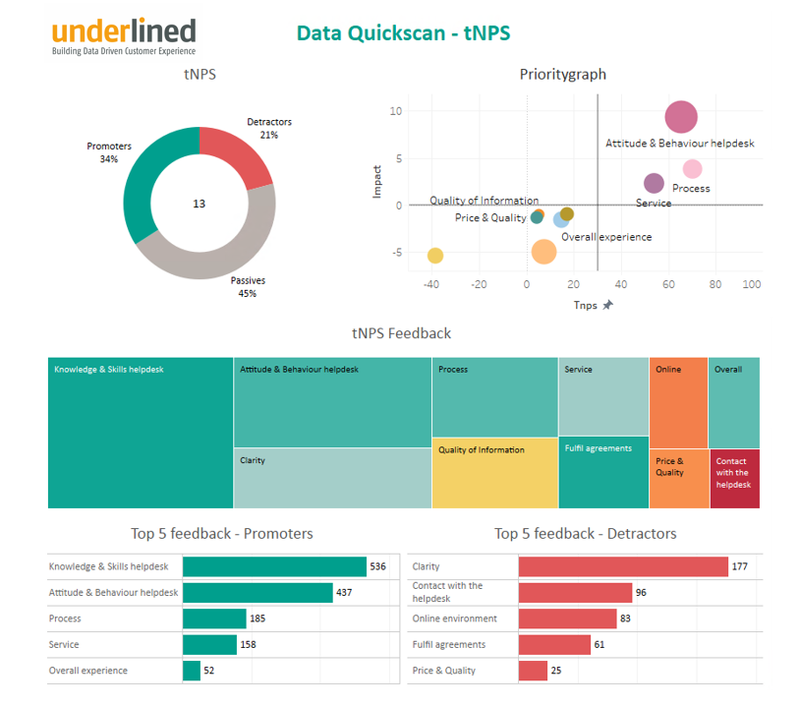 Underlined introduces a fully automatic text-mining solution for customer feedback analysis. Our approach is accurate, scalable and flexible enough to meet the needs of our customers in different industries and for different purposes within the CX domain. In recent years, together with leading universities, we have developed extremely strong text mining solutions for various industries and have implemented those in many organisations in the Netherlands. We have appropiate and continuously learning taxonomies with a very high level of reliability. As a result, these organisations have a better understanding of their customers and which actions contribute most to improving customer service. The Underlined Text Mining API service © is a cloud based solution that provides advanced processing of natural language for plain text. The API connects to the Underlined Hub for CX Analytics ©, a collection/framework of machine learning and AI algorithms, which can be used directly as part of your Customer Experience Management program. Sentiment scoring Discover how customers think about your brand or a particular subject, by analysing plain text for positive or negative emotions. The analytical models have been pretrained using an extensive body text and the natural language technologies of Underlined. For selected languages, the API can analyse any plain text you specify and pass the results directly to the initiating application. Available industries Financial services; both insurance and banking. In addition; publishers, telecom, retail, travel and utility. And many other industries currently in development. Check for availability! Do you want to connect other data sources, such as chat or e-mail, in addition to customer feedback? Underlined offers those solutions also. Learn more /Please contact us!